On the happening of an incidence, prohibited or punishable by law, such as a civil disagreement between parties to the dispute or criminal activity, the case goes to trial in the law court. The Criminal Code Procedure lists out the rules for arresting, investing and trial of criminal before the courts. In a court trial, the parties to the dispute come together, to present the facts and evidence before the court of law. As per criminal law, all the offences need to be investigated, inquired and tried, as per the relevant provisions. The trial is not exactly same as hearing, which is a legal proceeding before a court or any judicial body, to gather facts about the case/issue. The article excerpt sheds light on the difference between trial and hearing, so take a read. Meaning Hearing is described as a legal gathering, in the court of law, wherein the judge discusses and decides the case, in the presence of the competing parties. Trial refers to the judicial proceeding in which facts and evidences are examined, to find out the guilt or innocence of the accused. Object To ascertain whether the charges imposed are worth pursuing or not. To identify the guilt or innocence of the accused. In law, hearing can be understood as the legal meeting, in which the discussion and decision on the lawsuit are made in the presence of the opposing parties. On the other extreme, trial means a legal proceeding wherein the facts and evidence in favour/against the defendant are examined in the court of law to determine his/her guilt or innocence. While the hearing is presided over by the judge, the trial is headed by the judge, panel of judges, i.e. jury, or magistrate etc. The primary objective of hearing is to check whether the charges levied on the defendant, have a certain base or not? And also whether the case is worth pursuing or not? Conversely, the trial is to prove the guilt or innocence of the defendant. When it comes to legal formality, trials are more formal in comparison to court hearings. The time duration of a court hearing is comparatively shorter than the court trial. 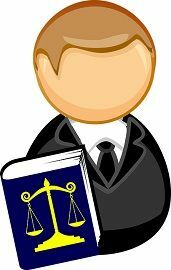 As per Criminal Procedure Code, there are three stages of a criminal case, i.e. investigation, inquiry and trial, wherein inquiry and trial are judicial proceedings. Hearing and trials are similar to one another in the sense that they are publicly held and involve competing parties.